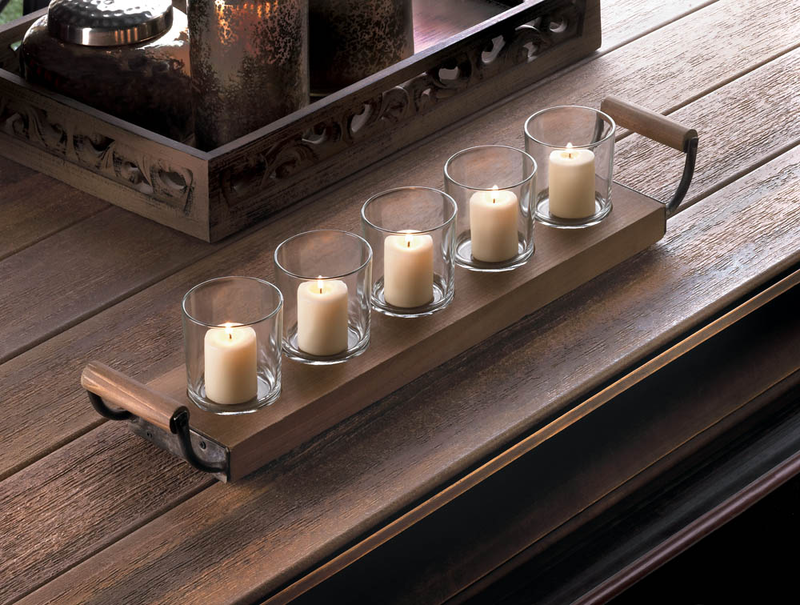 Simple in design, this candleholder is simply stunning when filled with five of your favorite votive candles! 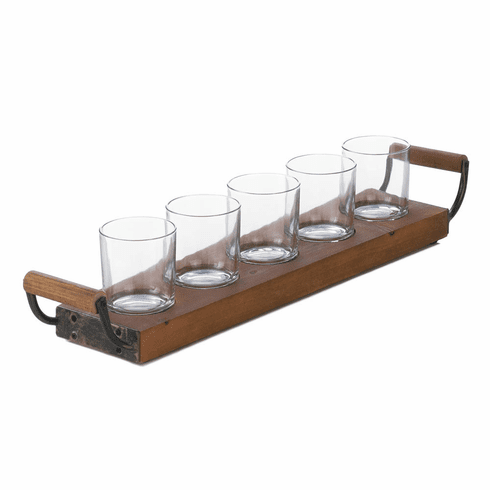 It makes a great style statement on your mantel or as the centerpiece on your dining table. Item weight: 3.4 lbs. 22" x 4" x 4½" high. Fir wood, glass and iron. Candles not included. UPC: 849179024895.